The Fulbright Program in Russia | SUMMER ECOLOGICAL SCHOOL "GREEN ECONOMICS AND LEADERS OF THE FUTURE"
SUMMER ECOLOGICAL SCHOOL "GREEN ECONOMICS AND LEADERS OF THE FUTURE"
Fulbright Ecological Summer School “Green economics and leaders of the future” took place at Volgograd (Southern Federal district of Russia) from June 5th to 16th. 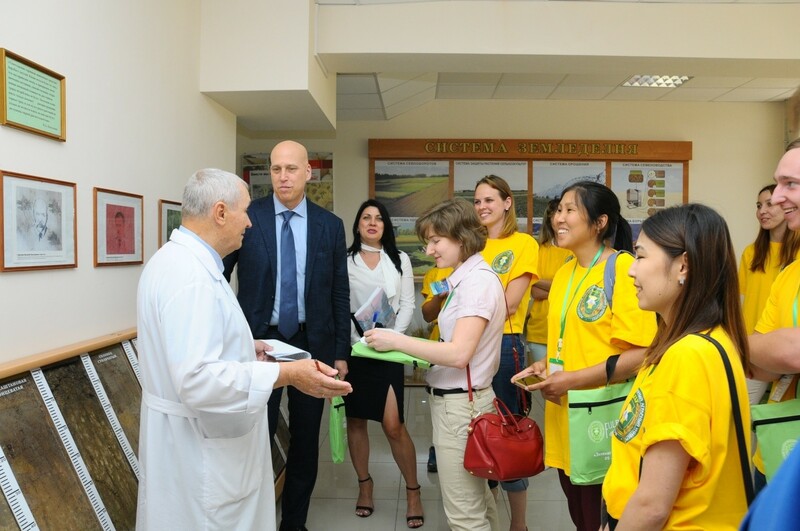 The School was hosted by Volgograd State Agrarian University (VSAU) and united 30 students from 8 cities of Russia (Volgograd, Tomsk, Moscow, Ulan-Ude, Kazan, Yakutsk, Astrakhan, Elista). Alexey Ovchinnikov, the rector of VSAU, and Dr. Joel Ericson, Director of the Fulbright program in Russia held speeches at the opening ceremony of the School. Two-weeks program of the School included coach sessions in municipal districts of the Volgograd region. Coach sessions were aimed to explore soil and climatic areas of the region. The key feature of the region from the scientific point of view is the unique diversity of the soil areas. During the Summer School participants visited Olkhovsky, Bykovsky, Sredneakhtubinskiy, Ilovlinskiy, Nikolaevsky and other areas of the Volgograd region to get acquainted with the soils diversity. They took part in the field works and seminars, as well as in coach sessions and presented the results of their work within the school. Energetics and Green Economics, Green Revolution in agrarian production, best practice in Economics, Agroecotourism as a perspective direction of Green Economics, ecological security within activities of economical entities of the region – these were the main directions of the school. Students prepared environmental projects, which included recommendations on using innovative computer technologies, principles of utilization of wastes, forming of ecological culture of the region and the country residents. During the School participants discussed the most relevant questions with presenters representatives of administration of municipal districts of Volgograd region, farmers and experts of in ecology. For example, features and variety of soils and climatic areas of the region as well as the implementation of environmental initiatives, such as shore protection in Nikolaevskiy district and environmental education in Serafimovich, the implementation of eco-technologies in the agricultural sector etc. In addition, participants enjoyed visiting places of interest and admired beautiful nature of Volgogradskiy region. Exhibition of the best photos made by the School participants was organized at VSAU. At the Summer School closing ceremony vice-rector of second education and international networks of VolGAU E. Patrina held a speech addressed to the participants. 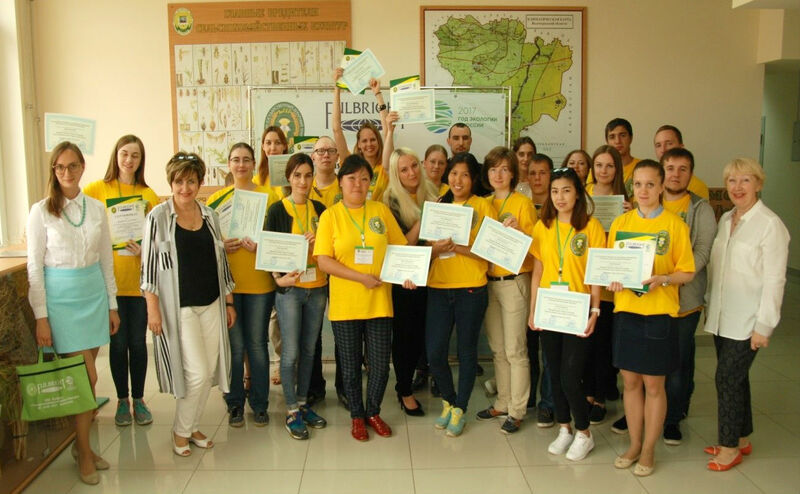 She thanked them for activeness and diligent work and handled students certificates of participation in "Green economics and leaders of the future" summer ecological school.